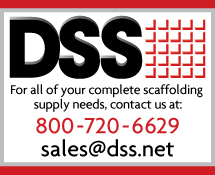 At DSS, we are committed to quality in every step of the scaffold manufacturing process. 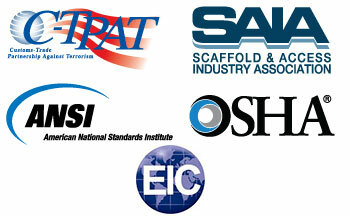 All the steel we use comes with mill certifications, but we don’t stop there. We use an independent lab to verify that all steel arriving in our factories meets or exceeds the appropriate specifications. With an ongoing QA/QC audit program, our dedicated team of engineers and quality managers, supported by our corporate HQ, promote continuous improvement throughout all our facilities (based on site) thus reducing and eliminating non-conformities.